The Tabernacle Choir provided the music for the Saturday morning, Sunday morning, and Sunday afternoon sessions. Craig Jessop and Mack Wilberg directed the choir. John Longhurst, Clay Christiansen, Richard Elliott, Linda Margetts, and Bonnie Goodliffe were the organists. A combined choir from Brigham Young University provided music for the Saturday afternoon session. Rosalind Hall directed the choir, and Bonnie Goodliffe was the organist. A priesthood choir from the Orem and Salt Lake institutes provided music for the priesthood session. Douglas Brenchley, Ryan Eggett, and Rick Decker directed the choir, and Richard Elliott was the organist. From the May 2006 Ensign — Music by a Young Women choir from stakes in Ogden, Utah; Merrilee Webb, director; Bonnie Goodliffe, organist: “The Lord Is My Light,” Hymns, no. 89; “Shine the Light,” medley, arr. Huff, unpublished (“Shine On,” Children’s Songbook, 144; “Teach Me to Walk in the Light,” Children’s Songbook, 177; “The Light Divine,” Hymns, no. 305); “I Know That My Redeemer Lives,” Hymns, no. 136, arr. Huff, unpublished (solo: Hillary Dodd); “High on the Mountain Top,” Hymns, no. 5, arr. Webb, unpublished. From the May 2006 Ensign — Music by the Tabernacle Choir; Craig Jessop and Mack Wilberg, directors; John Longhurst and Richard Elliott, organists: “The Morning Breaks,” Hymns, no. 1; “Dearest Children, God Is Near You,” Hymns, no. 96; “Did You Think to Pray?” Hymns, no. 140, arr. Wilberg, pub. Jackman; “Now Let Us Rejoice,” Hymns, no. 3; “For the Beauty of the Earth,” Hymns, no. 92, arr. Wilberg, unpublished; “Consider the Lilies of the Field,” Hoffman, arr. Lyon, pub. 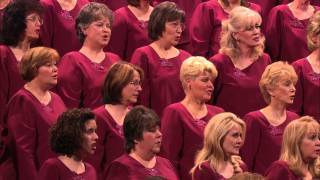 Jackman; “High on the Mountain Top,” Hymns, no. 5, arr. Wilberg, unpublished. From the May 2006 Ensign — Music by a combined choir from Brigham Young University; Rosalind Hall, director; Bonnie Goodliffe, organist: “I Saw a Mighty Angel Fly,” Hymns, no. 15, arr. Lewis, unpublished; “Have I Done Any Good?” Hymns, no. 223, arr. Zabriskie, pub. Plum; “Come, Ye Children of the Lord,” Hymns, no. 58; “Come, Follow Me,” Hymns, no. 116, arr. Manookin, pub. Sonos. From the May 2006 Ensign — Music by a priesthood choir from the Orem and Salt Lake institutes; Douglas Brenchley, Ryan Eggett, and Rick Decker, directors; Richard Elliott, organist: “Awake, Ye Saints of God, Awake!” Hymns, no. 17, arr. Staheli, pub. Plum; “The Lord Is My Shepherd,” Hymns, no. 108, arr. Loose, unpublished; “We Thank Thee, O God, for a Prophet,” Hymns, no. 19; “Come, O Thou King of Kings,” Hymns, no. 59. From the May 2006 Ensign — Music by the Tabernacle Choir; Craig Jessop and Mack Wilberg, directors; Clay Christiansen, organist: “Rejoice, the Lord Is King!” Hymns, no. 66; “He Sent His Son,” Children’s Songbook, 34–35, arr. Bradford, pub. Nature Sings; “I Stand All Amazed,” Hymns, no. 193; “Redeemer of Israel,” Hymns, no. 6; “O Lord Most Holy,” Franck, arr. Robertson and Schreiner, unpublished; “My Redeemer Lives,” Hymns, no. 135, arr. Wilberg, unpublished. From the May 2006 Ensign — Music by the Tabernacle Choir; Craig Jessop and Mack Wilberg, directors; Linda Margetts and Bonnie Goodliffe, organists: “Sing Praise to Him,” Hymns, no. 70, arr. Wilberg, unpublished; “Jesus, Lover of My Soul,” Hymns, no. 102, arr. Wilberg, unpublished; “How Firm a Foundation,” Hymns, no. 85; “Abide with Me; ’Tis Eventide,” Hymns, no. 165, arr. Gates, pub. Jackman.